The motivation for SMURBS rises from its aspiration to promote and coordinate the “smart city” concept primarily into a European network of cities but also to cities overseas, illustrating the experience and learnings from a number of cities at different stages on the smart city journey. A group of cities of varying sizes, geographies, environmental pressures and levels of progress in terms of ‘smartness’ are selected with a multi-criteria analysis. Urban pressures are put in an hierarchy (see ‘Needs and Gaps‘). The optimum issue-to solution correspondence is decided. 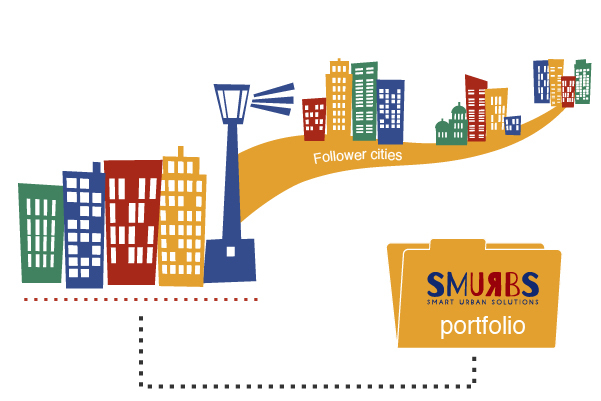 A dossier of ‘smart city’ implementation is designed for each city of the SMURBS network. The plan is executed. Smart solutions are applied. 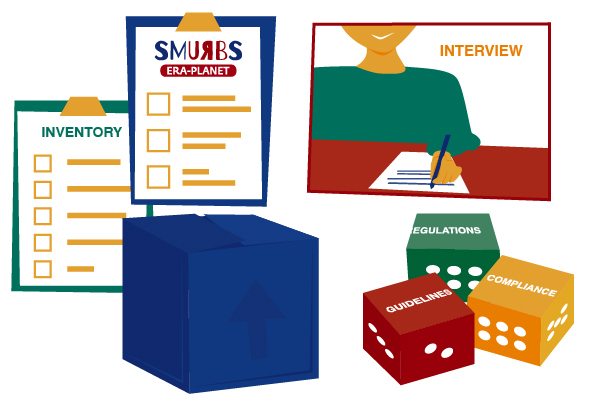 SMURBS utilizes each partner’s knowledge of their geographic area of influence and local city particularities, advantages and resources, and combines it with the lessons learnt from the pilots’ implementation to construct the most feasible and cost-effective way to tackle the environmental issue at hand. This constellation of cities employing solutions from the portfolio showcases their effectiveness and helps establish the urban component of GEOSS in Europe. 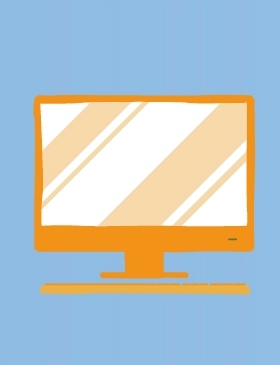 SMURBS serves as umbrella for “smart city” initiatives in the EU relevant area, fosters networking, assures replicability and exploitation of existing and developed capacities. SMURBS smart-city network (under development). PC -Light house Pilot Cities: implementing an integrated plan of a series of solutions to one or more of the pressures addressed. 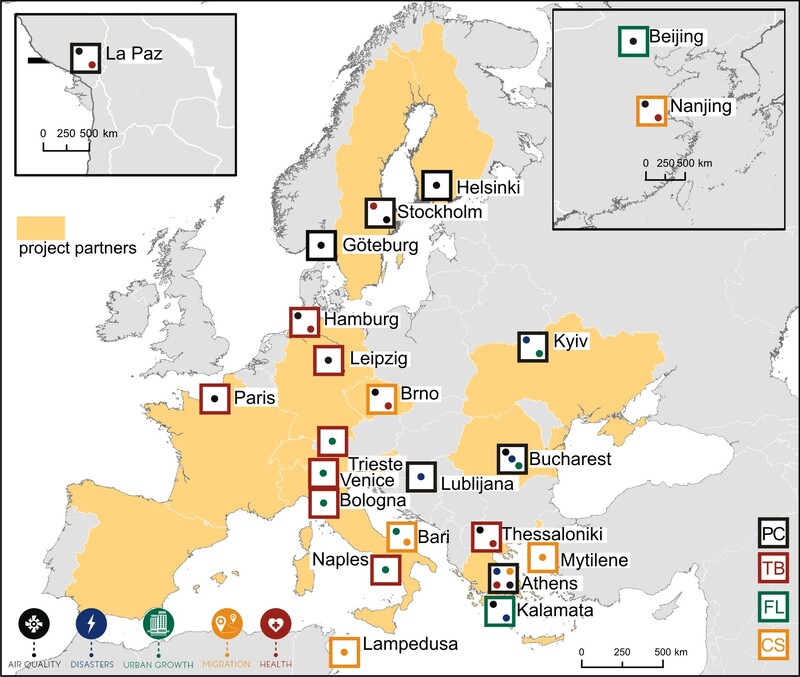 TB – Test Bed cities: testing or demonstrating specific, targeted solutions. 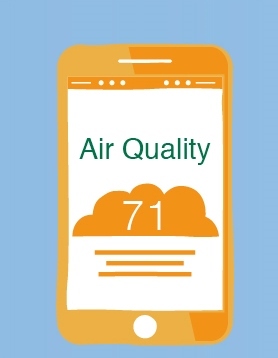 CS – Case studies: implemented to address the complicated and high-priority EU issues of air pollution health impacts and social inequalities and the on-going migrant crisis. FL -Follower cities: observe, interact and contribute to the exploitation of the smart city concept of SMURBS. SMURBS reaches out local and regional authorities, urban planners, city level stakeholders, specific citizen communities and humanitarian bodies in an attempt to map “what is out there” and understand “what the users want”. This information stimulates strategic planning throughout the project. Has prepared and distribute an appropriate survey and organizes dedicated workshops and interviews, during which the partners engage the stakeholders to identify specific user needs and particular urban pressures. Conducts an inventory of the state-of-the-art smart-city technologies, projects and solutions brings forth best practices. Summarizes the National and European policy and legal framework addressing environmental pressures on the city scale. The Gap analysis (technology, methods, and regulations) is the culmination of these efforts. link the regulatory networks of basic pollutants, with IoT/smart sensors (low cost – dense coverage) and supersites (high cost – high temporal resolution and specialization of measurements). With respect to disasters, SMURBS platforms include 2D/3D mapping as well as the use of GIS/Geospatial Decision making systems for pre- and post- assessment of disasters combining RS data acquisition mechanisms (i.e. satellite and aerial/UAV imagery) with in-situ data collection (i.e. GNSS control point measurement, Mobile Mapping Systems, laser scanners). SMURBS brings to the forefront the Copernicus Sentinel family of satellites. Sentinel images become available through NOA’s Collaborative Ground Segment (responsible for the collection, management and distribution of Sentinel data). MSG SEVIRI (EUMETSAT) satellite is also exploited. satellite data fusion of land and atmospheric products, combined with suitable systems of processing and classification, allow the assessment of the urban growth, the objective representation of the territory and its development and the environmental impact of natural and manmade disasters (e.g. time observations and status of active fires, mapping of burnt areas, flood extent mapping). Urban Disaster monitoring where multi-temporal analysis using differential interferometry (DInSAR) increases accuracy to estimate land deformations caused by natural or various anthropogenic activities. In SMURBS, great emphasis is given in homogenizing existing and developing unique, common methodologies for AQ modeling at the city scale. Developing urban, high resolution emissions inventories, by the use of demographical, habitual, constructional and socio-economic information for specific sources (e.g. residential wood burning), data from in-situ networks or supersites (e.g. from ACTRIS), and space-borne data. Exploiting CAMS products. They will be evaluated and adjusted to the established model system. Bridging of state-of- the-art regional atmospheric models with city-scale models for high resolution AQ simulations. The SMURBS model ensemble consists of a number of atmospheric, chemical-transport models (COSMO-ART, CHIMERE, WRF- CHEM, CMAQ). Enhanced intra-urban atmospheric models (TAPM, CITYCHEM), are installed and nested to the regional system. Applying emission scenarios (e.g. GAINS) and receptor modeling (e.g. PMF – positive matrix factorization), to facilitate co-benefit analysis and identify key sources. Citizen Observatories (COs). SMURBS is in the process of creating a new generation of smart citizens, more capable and active in local governance and decision making. COs transform citizens to “early scientists”, through scientific guidance. 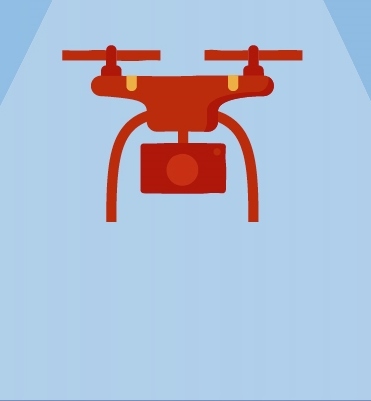 The output of the array of EO platforms is translated into easy to grasp indicators for the urban population and smart distribution via online platforms and smart-phone apps boosts awareness and engages citizens. 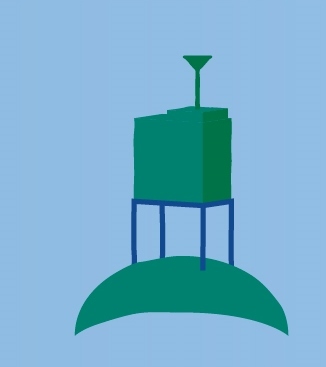 SMURBS will assess, further develop and deploy field smart sensor package nodes in selected pilot cities that measure atmospheric and terrestrial variables, in an attempt to forward exploitation of low cost, dense networks and continuous measurements. The activities of SMURBS push forward the strategic priorities laid out in the GEO Strategic Plan 2016-2025 regarding the implementation of GEOSS. The ambition of the project is to contribute to GEOSS activity in the component of urban areas. This is achieved by the geographical extent of the project (partners from 12 European countries, plus connections with Bolivia and China), the stakeholders involved and engaged and the EO smart-urban solutions provided (currently under development). A feedback effect is conversely expected, that of bringing the partners of the consortium closer to the GEO vision and modus operandi. 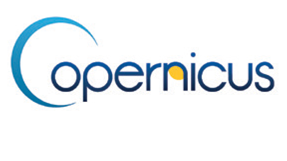 Concerning the Copernicus advancement, SMURBS exploits the Copernicus Atmospheric Monitoring Service (CAMS), Land Monitoring (CLMS) and Emergency Management (EMS) and offers a variety of platforms in a wide geographical area for the validation of Copernicus products. 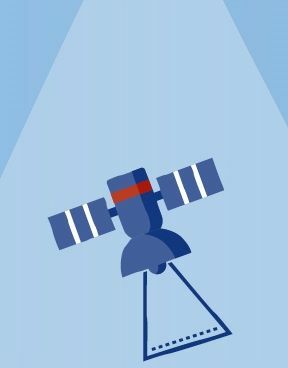 At the core of SMURBS actions lies the creation of a portfolio of Smart Urban Solutions, based on the full exploitation of Earth Observation (EO) products, towards the targeted environmental pressures. The portfolio entails tools and solutions in support of urban planners, decision-makers and other stakeholders. “Hard-sciences” work together to provide concrete solutions and, conversely, each partner extends his ideas to a more service-wise innovation. The portfolio resolves around a constellation of partners and cities each of which contributes to and takes up accordingly from the portfolio. The portfolio will be exploited in the pilot cities, paving the way for replication of the provided solutions to other cities in and outside Europe. Finally, SMURBS will introduce individual portfolio elements into the EO marketplace.